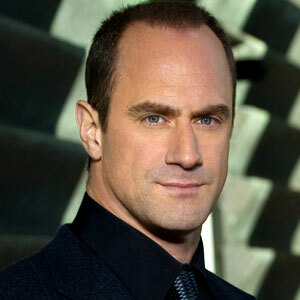 We told you just a couple of weeks ago that HBO had been negotiating with Christopher Meloni (Law & Order: Special Victims Unit, Man of Steel) for a spot on True Blood. Now, TVLine reports that it’s now official! The former Law and Order: SVU detective will be vamping it up in Bon Temps as a series regular in the new season. True Blood showrunner Alan Ball says that Meloni will be playing “an ancient, powerful vampire who holds the fate of Bill and Eric in his hands.” Supposedly compared to the petite young blonde who seemingly holds their fate in her hands on a seasonal basis. He should be great as a vampire, he has that terrific browline, like Bill and Eric. We’re looking forward to this, as long as it doesn’t interfere with anything he’s doing on Man of Steel. And vice versa. True Blood returns for season 5 in 2012 on HBO.